Tri-X-Stands Come to the Adventure of Carnivore Calling! A challenge I set for myself. What a great way to learn about the outdoors and Bobcat habitat is on the trail for the secretive bobcat. This was an exciting and interesting challenge for me to complete. 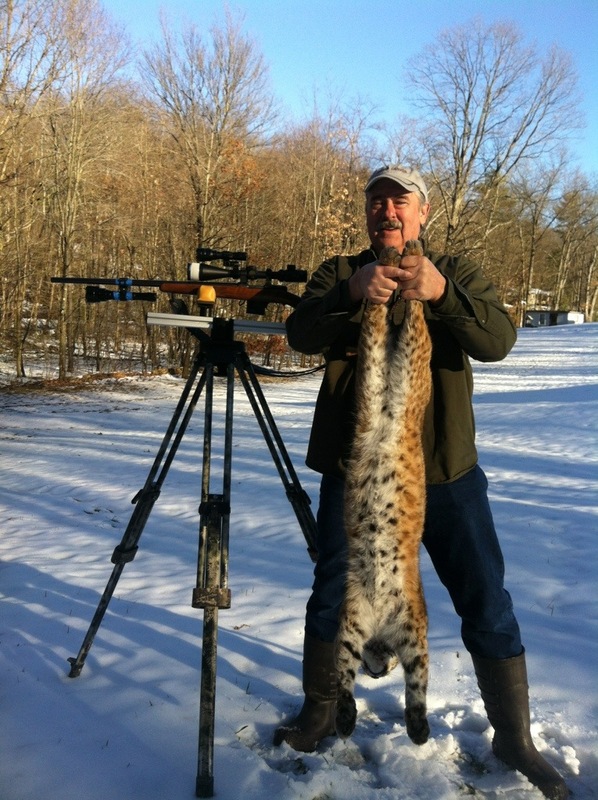 Not living near Bobcats, it is important to have great friends that can help find bobcats to hunt in there habitat. I am sure me and my friends have learned a lot about bobcats over the years wile I pursued the elusive Bobcat. Thanks to all my friends that have traveled many of my ghost cat trails into the woods at night over the years with me and made this a much more enjoyable challenge and I now have knowledge and stories that will last a lifetime. A special thanks to my friend Jeff Millinder and his family, it has been a hoot. ewcalls.com, Proudly powered by WordPress.